Stella K. Kang, M.D., from the NYU School of Medicine in New York City, and colleagues compared life expectancy of management strategies for small renal tumors using a state-transition microsimulation model with 1 million simulations. 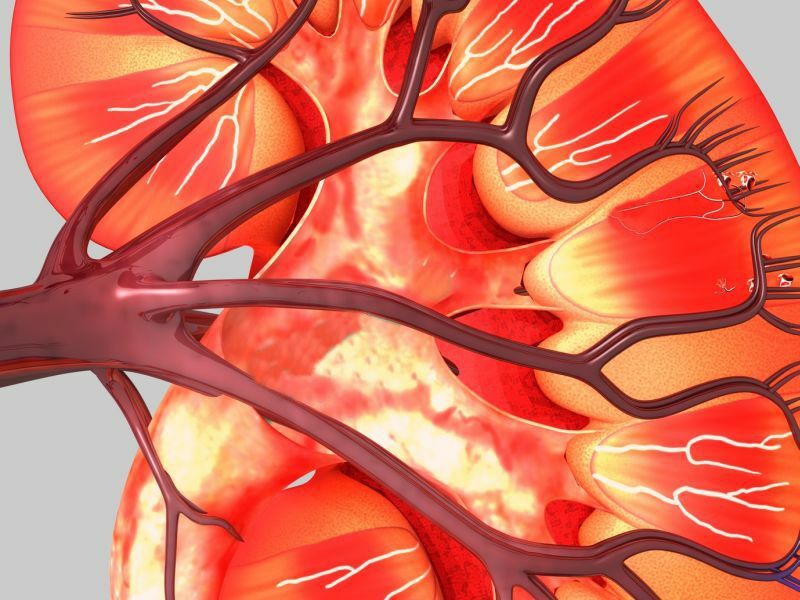 Strategies included routine partial nephrectomy (PN) or personalized treatment involving percutaneous ablation for risk factors for worsening CKD, active surveillance for growth, and active surveillance when magnetic resonance imaging (MRI) findings were indicative of papillary renal cell carcinoma (RCC). The researchers found that routine PN yielded the longest life expectancy in patients of all ages with normal renal function. Otherwise, life expectancy was extended with personalized strategies versus routine PN. MRI guidance for active surveillance extended life expectancy for patients with CKD stages 2 or 3a, moderate or high nephrometry score, and no comorbidities; biopsy or active surveillance for growth extended life expectancy for patients with a Charlson comorbidity index of 1 or greater. The most effective management for CKD 3b was use of MRI to help predict papillary RCC for surveillance. "While the model does not prescribe one specific treatment, it does provide a set of estimates so that patients and providers can get more information on the viable options," Kang said in a statement. One author disclosed financial ties to the publishing industry; one author disclosed ties to the medical imaging industry.